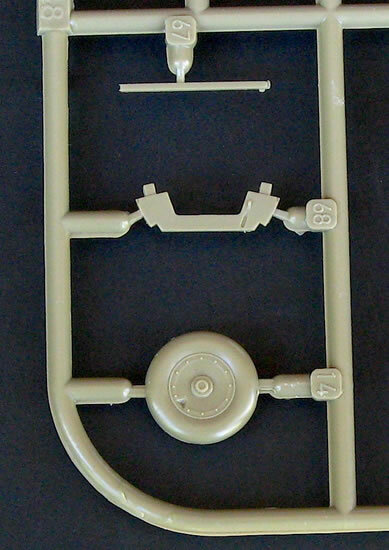 A dedicated A-9 cowl ring is not provided, but arguably this will not be particularly obvious in 1/48 scale. 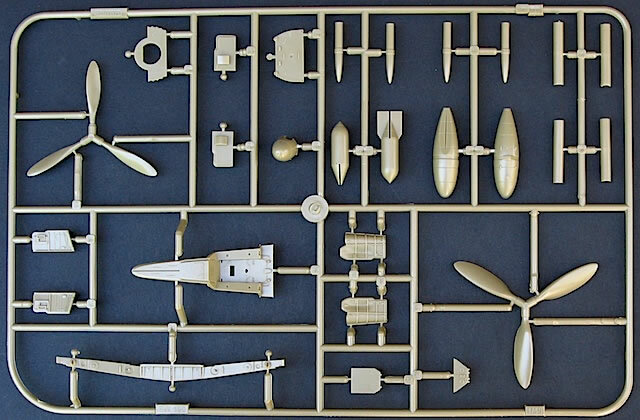 A reboxing of Eduard’s A-8 sprues containing most of the parts required to build an A-9. With nearly 1,000 examples produced between late 1944 and early 1945, the Focke-Wulf Fw 190 A-9 was the last radial-engined Fw 190 variant to see operational service with the Luftwaffe. Compared to its predecessor, the Fw 190 A-8, the A-9 was fitted with an improved, armoured oil tank in a slightly thicker cowl ring, and a more powerful 2,000 hp BMW 801S (or similar) engine. 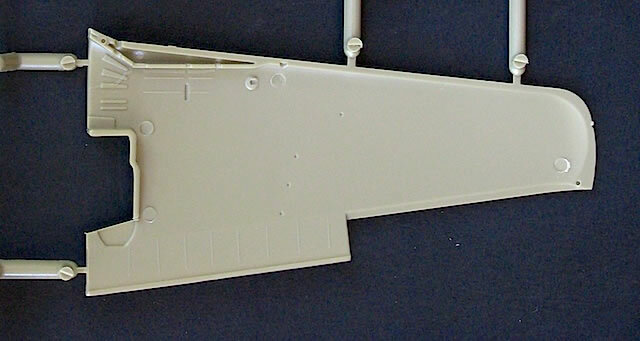 Many A-9s were fitted with a 14- rather than 12-bladed cooling fan, and the blown canopy and armoured headrest and brace seen on many late series A-8s were standard inclusions. These features can be hard to spot in period photographs, particularly of damaged or incomplete aircraft, which means it can sometimes be difficult to identify an airframe as an A-8 or an A-9. 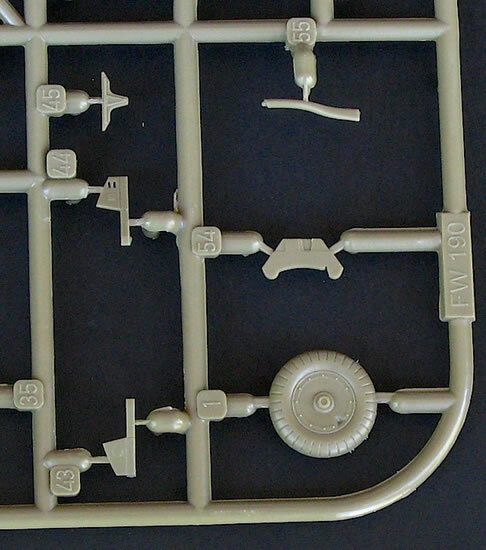 This likeness has simplified Eduard’s task in producing a 1/48 Fw 190 A-9 kit. 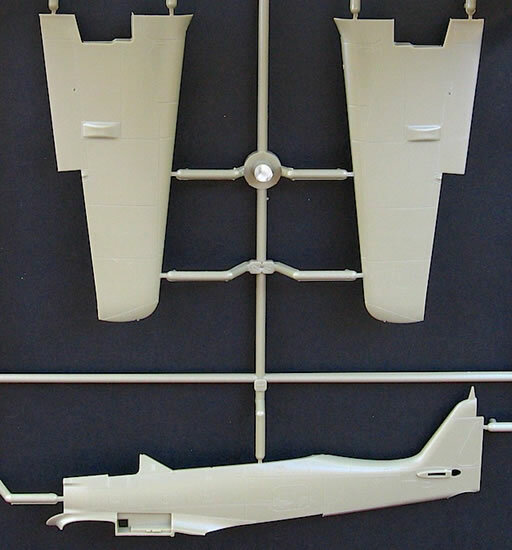 Eduard clearly had plans for an A-9 when developing its original A-8 kit because, as Brett Green noted back in 2006, the A-8 sprues contain some of the parts needed for an A-9, such as broad propeller blades and a 14-bladed fan. However it is only now, after producing kits of every other significant radial-engined Fw 190 variant from the A-5 onwards, that Eduard has finally released a dedicated A-9 boxing. 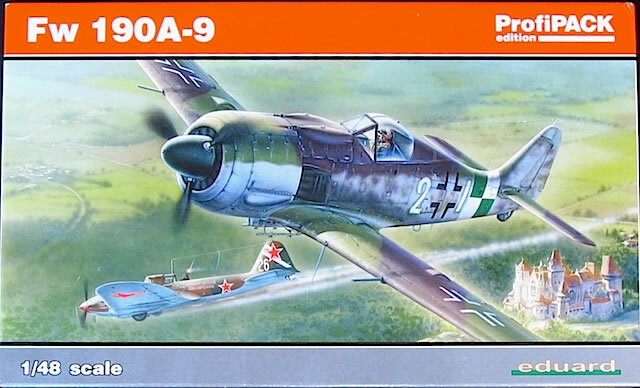 Eduard’s box art shows one of the kit’s subjects, ‘White 2 + I’/W.Nr.206000, moments after dispatching an Il-2 over a castle in rural Germany. 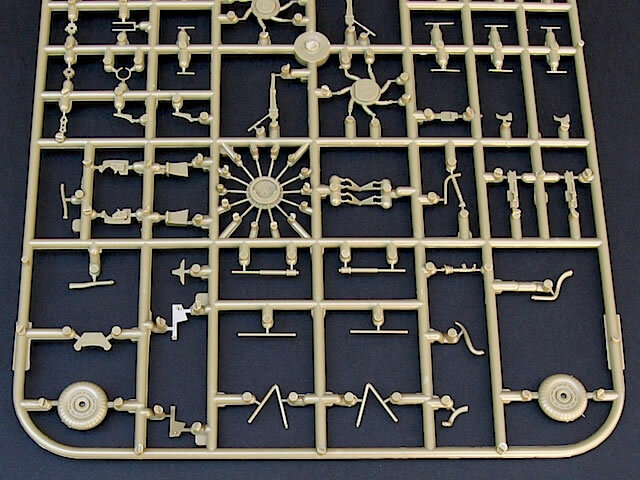 The box itself is full of typical Profipack goodies: six sprues of olive-brown plastic, one sprue of clear parts, two decal sheets (one of national and other large markings, one of stencils), a modest fret of photo-etched brass parts (some of them pre-coloured), a die-cut canopy and wheel hub masks, and a comprehensive 16-page instruction booklet. 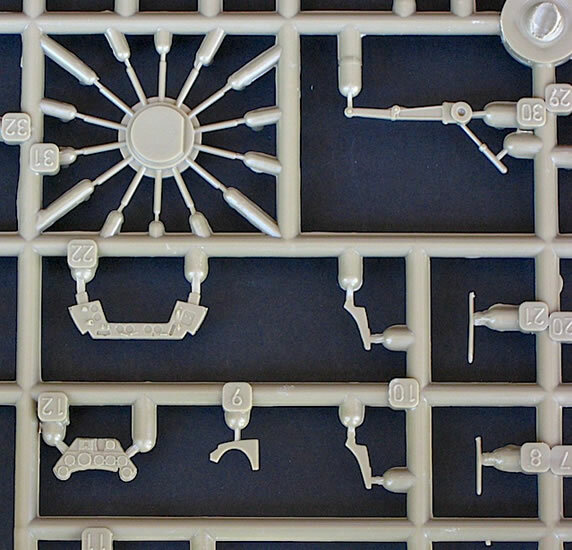 The first thing I did after opening the box was unpack the sprues and lay them next to those of Eduard’s A-8 kit (I have the Weekend Edition) to see where the two kits differed. 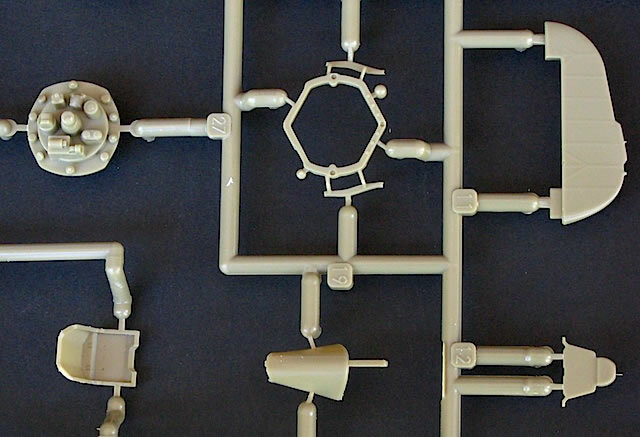 Given Eduard’s preference for addressing differences between variants by tooling specific new parts, I was surprised to see that all of the sprues were identical. 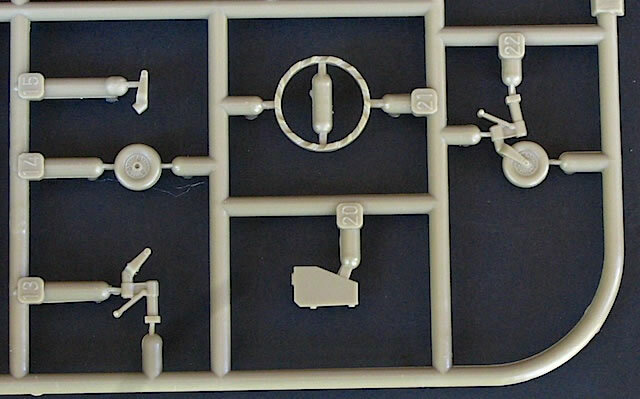 I know that some of the parts needed for an A-9 are already present, but I was expecting a representation of the armoured cowl ring, at least. 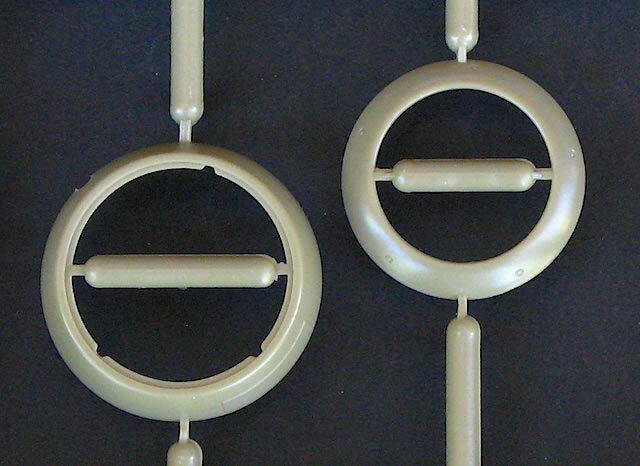 On reflection, however, I’m not sure how obvious this would be in 1/48, given that in real life the revised cowl ring only made an A-9 about 3 cm longer than an A-8 – arguably almost imperceptible in kit terms. 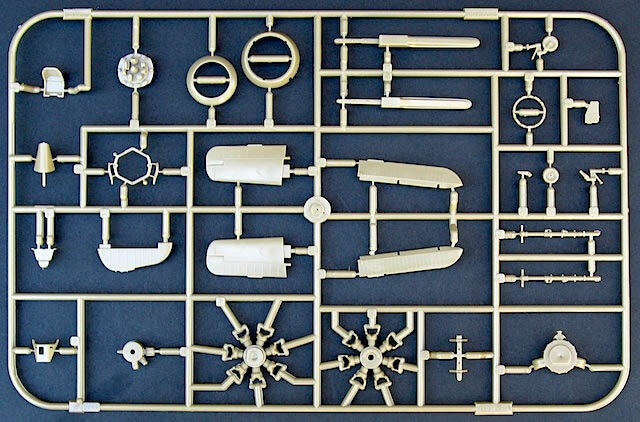 Based on the above, I think this kit is best described as a re-boxing of Eduard’s Fw 190 A-8 sprues, containing instructions, decals and some photo-etched parts for completing it as an A-9. 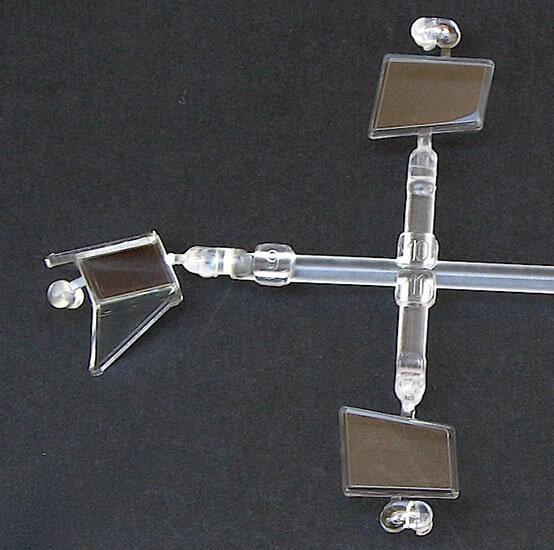 The plastic parts are of Eduard’s usual high standard. No flash, sink marks or other imperfections are apparent, despite the fact that the moulds have been in constant use for the past six years. 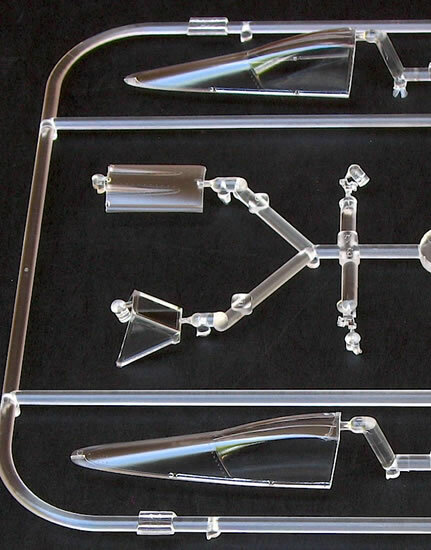 The clear parts are also excellent, although only the blown canopies will be needed if you finish the kit as an A-9. 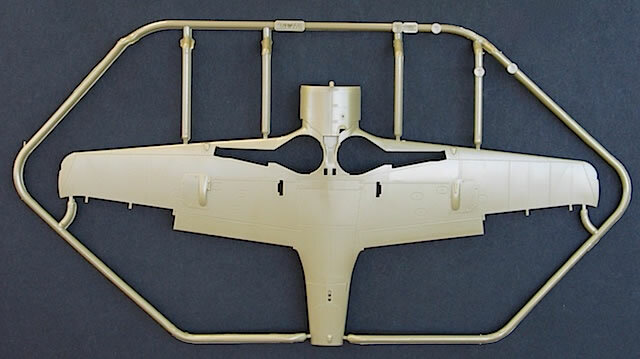 In terms of A-9 specific parts, the 14-blade cooling fan is a drop-fit option, while the armoured headrest and brace is a simple four-part assembly that fits inside the sliding canopy section before this is attached to the model. 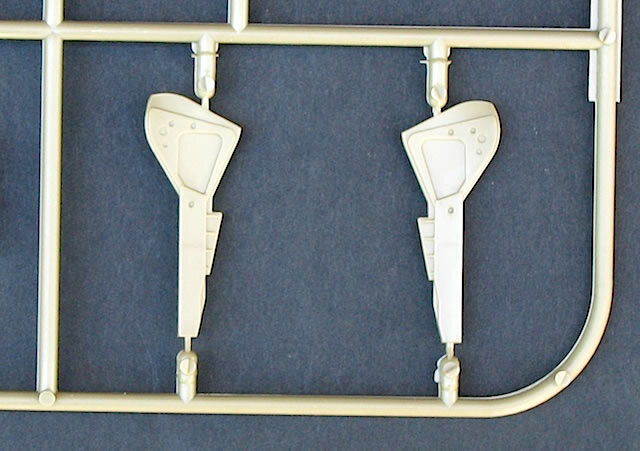 I’m not sure which type of VDM-9 propeller Eduard’s paddle-bladed offering (part I-20) represents – its blade profiles don’t quite match those of either the wooden or metal variants, although they are close. 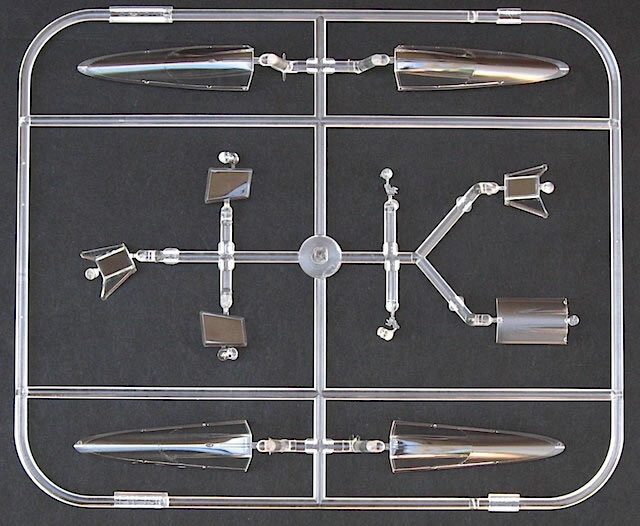 The kit instructions indicate that you should fit the VDM-9 prop to four of the five marking options, but if possible I would also try to confirm the propeller type from a photograph of the aircraft in question. 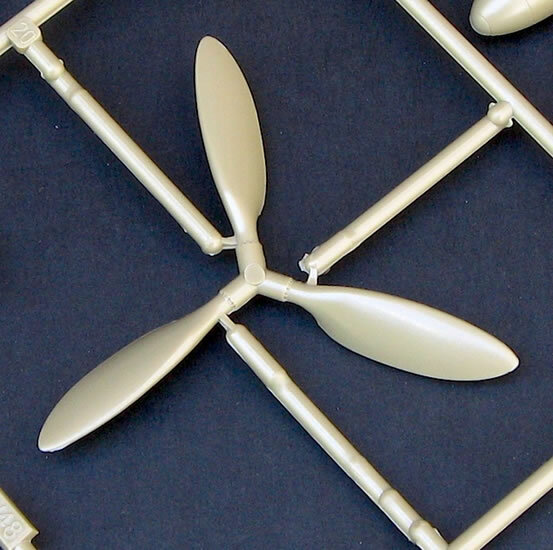 The same goes for the delicate, multi-part balance weights that are included on the photo-etched fret; the instructions don’t mention that these were not fitted to all propellers. 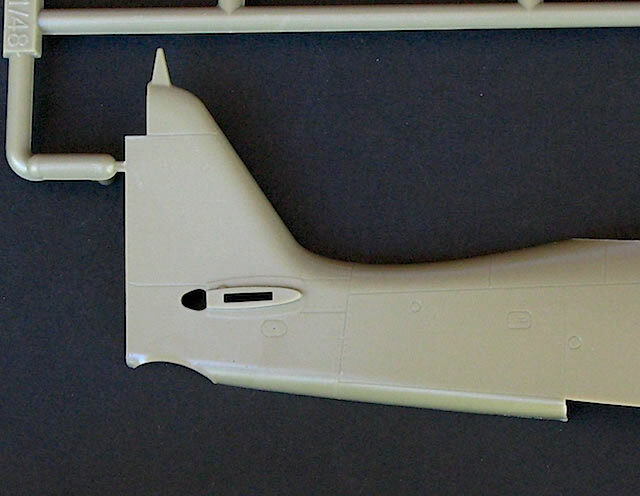 The rest of the photo-etched parts are very similar to those found in Eduard’s other late Fw 190 A series kits, including the lovely pre-painted instrument panels, side consoles and seat belts (although I noticed that some of the red and yellow instrument bezels are slightly out of register). 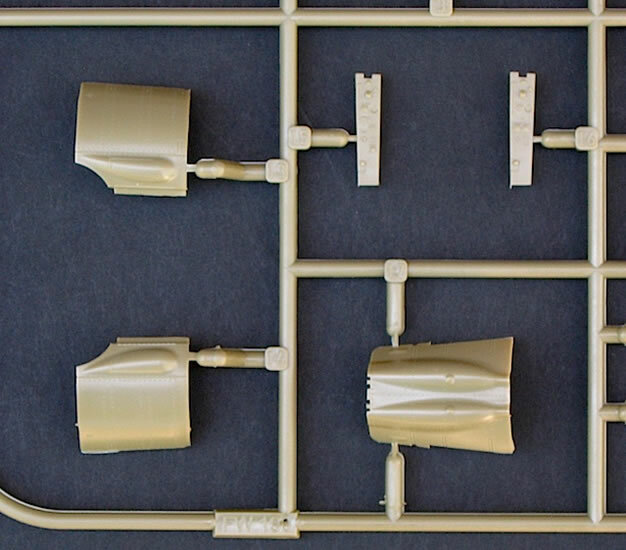 While the Fw 190 canopy isn’t particularly tricky to mask, it is still a tiresome job that will be made much easier by the kit’s pre-cut canopy masks. 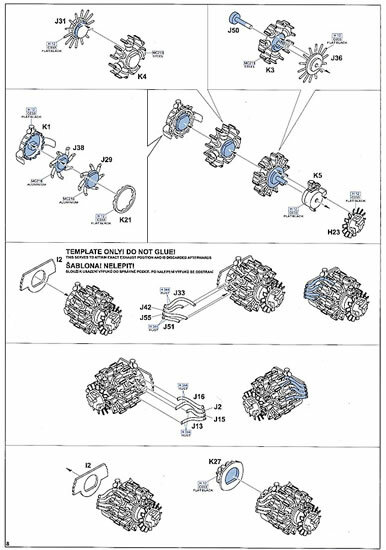 The A4 instruction booklet contains a series of clear and well-illustrated steps for completing the model. 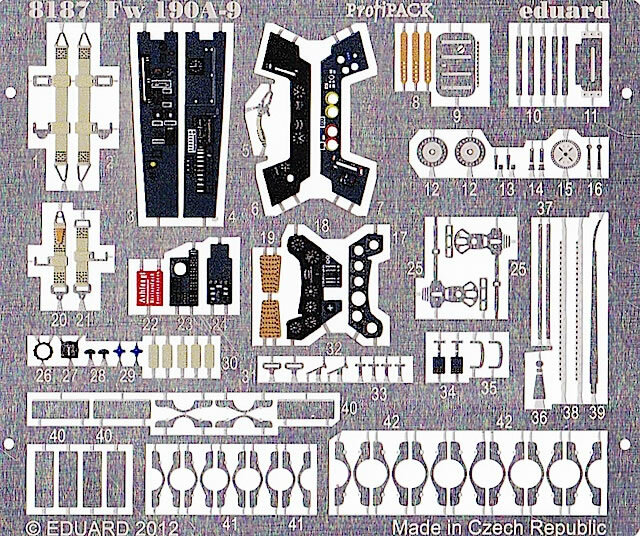 The usual caveat for building an Eduard Fw 190 A kit applies here: take your time, follow the instructions carefully and you should be able to avoid any construction issues. Brett’s original 2006 review that I mentioned above also contains some additional tips from Eduard for a trouble-free build. 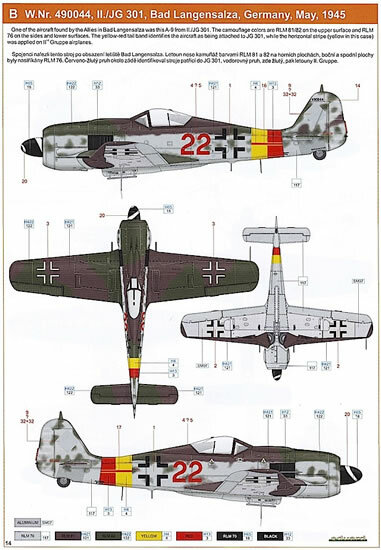 Eduard has provided decals for five colourful aircraft, with paint schemes and markings that are appropriately diverse given the state of German industry at the time these aircraft were manufactured. 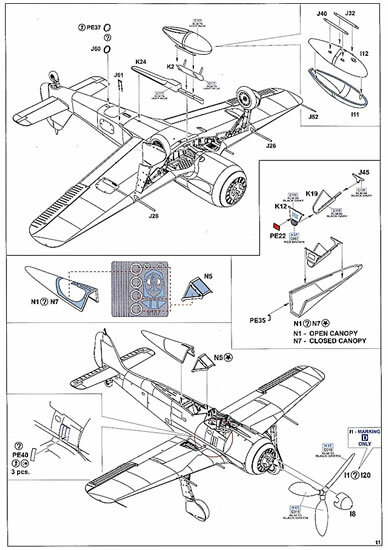 The instructions include full colour, four-view painting and decal placement guides for every aircraft except option E (see below), as well as smaller grayscale four-view drawings to assist with stencil placement. ‘White 2’/W.Nr.206000 of III./KG (J) 27, found crash-landed at Wels am Wagram airfield in Austria, May 1945. Eduard suggests this aircraft was finished in RLM 81 Brown-Violet and RLM 82 Light Green on the upper surfaces over a combination of RLM 76 Light Blue and natural metal undersurfaces, with a light 81/82 mottle on the fuselage sides. The cowling sides are depicted as unmottled – a fact confirmed in the one photo I could find of this aircraft, with an Allied soldier leaning on the stump of a shattered wooden propeller blade. ‘Red 22’/W.Nr.490044 of II./JG 301, found abandoned at Bad Langensalza, Germany, May 1945. Eduard describes this well-photographed aircraft as being finished in the same colours as option A, with the exception that the upper surface RLM 81 wraps around onto the undercarriage gear doors and forward part of the lower wing. ‘Black chevron + I’/W.Nr.205998 of Stab III./SG 10, found abandoned at Salzburg, Austria, May 1945. I haven’t been able to find a photograph of this aircraft, but Eduard suggests it should be finished as per option A, with the addition of RLM 04 Yellow cowling band and rudder. ‘White 7’/W.Nr.750114 captured by the Allies in late 1944 or early 1945. Again, I couldn’t find a photo of this aircraft, which is disappointing because it is the odd one out in the marking options; Eduard suggests it should be finished in either RLM 74 Grey-Green/RLM 75 Grey-Violet or RLM 75/RLM 83 Dark Green on the upper surfaces, over RLM 76 undersurfaces and with minimal mottling on the fuselage sides. ‘Yellow 8’/W.Nr.260147 (speculative) of II.JG 301, Germany, May 1945. To me this aircraft is the pick of the marking options in the kit. 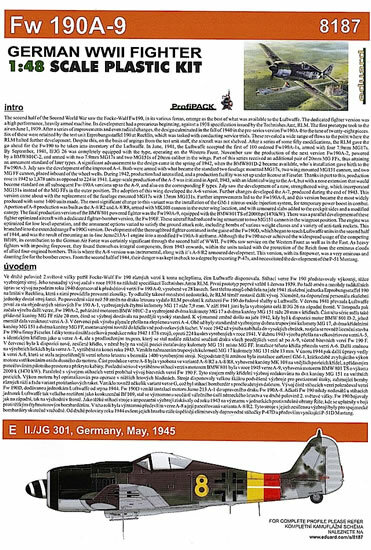 However the instructions only provide a port profile of this aircraft, with the full marking guide available for download from Eduard’s website (http://www.eduard.com/store/out/media/8187.pdf). A colour photograph of ‘Yellow 8’ on page 40 of ‘Luftwaffe Camouflage and Markings 1933-45: Photo-Archive 1’ indicates that its upper surface colours may have been 81/83 rather than Eduard’s suggestion of 81/82, but it seems likely that Eduard’s call outs of RLM 83 gun cover and engine cowling and RLM 76 rudder are correct. Two decal sheets are provided – a smaller sheet of stencils and a larger sheet of national and aircraft specific markings, spinner spirals and instrument panels (for those who don’t want to use the photo-etched options for these). Both are produced by Eduard and appear to be of good quality, with crisp printing and good colour density. It’s worth noting however that no decals are provided for the fuselage bands that are present on four of the five marking options, so some careful masking and painting will be required – particularly if you are tempted by the green-and-white checkerboards of option A. 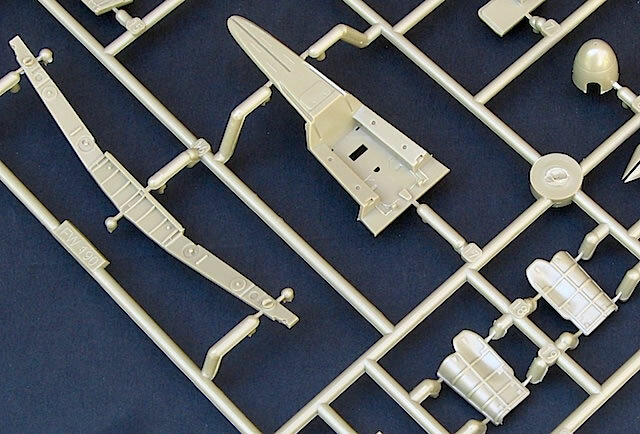 This is another good 1/48 Fw 190 A package from Eduard. 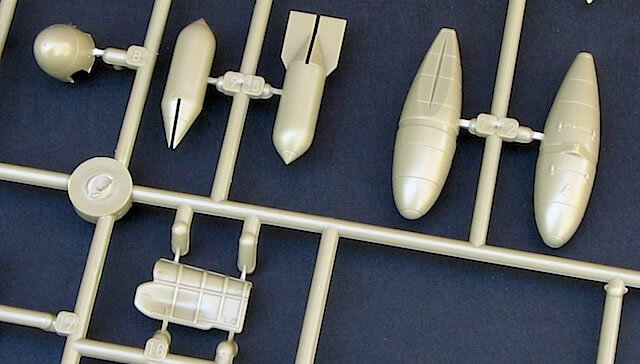 As I mentioned above, it’s not really a dedicated A-9 kit, but rather a re-boxing of the A-8 kit that can be built into a close representation of an A-9. The varied, late war marking options are a highlight, although given the vagaries associated with such Luftwaffe schemes, as well as the potential for variation in details such as propeller type, I’d recommend conducting some additional research into your chosen option. 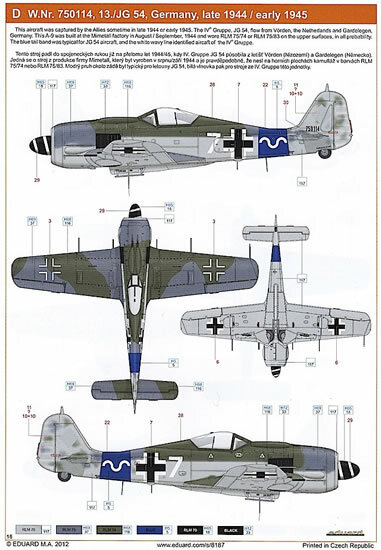 Whichever scheme you choose, you’ll end up with a striking representation of one of the Luftwaffe’s last fighter types of the war. Brian Filley, Fw 190A, F and G in action (Squadron/Signal Publications, 1999). K.A. Merrick, Eddie J. Creek and Brett Green, Luftwaffe Camouflage and Markings 1933-1945: Photo Archive 1 (Midland Publishing, 2007).